The Lord has taken me on a journey with Him these last few years. He has taken me through the valley of depression and comforted my heart through those dark times with His Word. 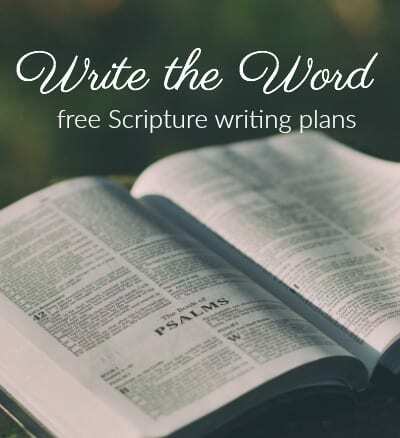 The book of Psalms became my solace, hope and eventually joy. I would read a Psalm each morning, I would write them on index cards, I would carry them with me through my days. Eventually, those words of the Psalmist became the words to my prayers. 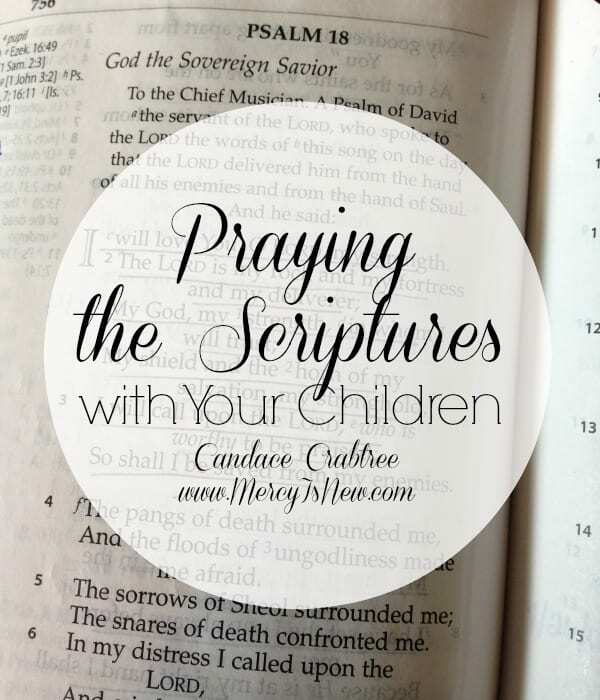 Often, when I didn’t have words to speak, the words I would read in God’s Word would echo the cries of my heart. And now, as my children grow, we face similar anxieties and frustrations and moments of anger with them. I don’t always know what to pray. 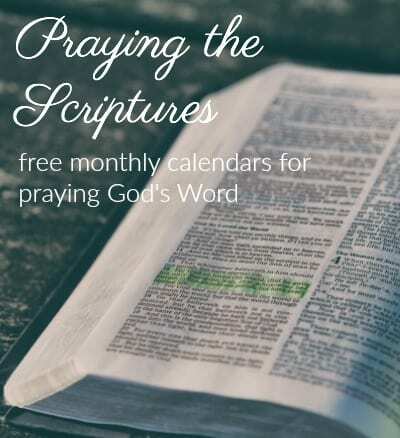 So, like the moments of despair I felt in my own life, I turned to God’s Word to give me prayers when I didn’t know what to pray. 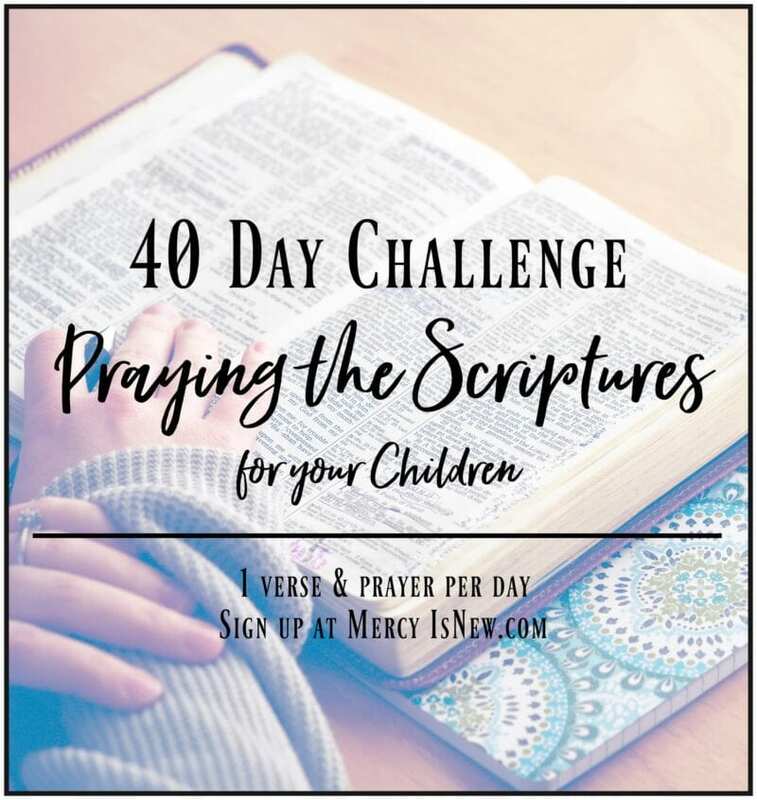 Please click over to Amy Blevin’s place to read the rest of this post and the VERSES we can pray with our kids!